CORK MANAGER EPHIE Fitzgerald will remain in charge of the county’s ladies footballers for 2019, meaning a fourth year at the helm. The Irish Examiner first reported the extension of Fitzgerald’s stay this morning, while a Cork LGFA spokesperson confirmed the news to The42 this afternoon and added that his selectors are still to be finalised. Fitzgerald, of the Nemo Rangers club, succeeded Eamonn Ryan in January 2016, and steered Cork to their 11th All-Ireland titles in 12 years in his first season in charge. That September 2016 victory over Dublin resulted in an All-Ireland six in-a-row, but they have not reached the Holy Grail since. In 2017, Mayo dumped the Rebels out of the championship at the semi-final stage and they fell short in this year’s showpiece as Mick Bohan’s Dublin triumphed on a scoreline of 3-11 to 1-12. In Fitzgerald’s three years to date, he’s also delivered back-to-back Lidl Ladies National League Division 1 crowns in 2016 and 2017, but they were denied of six in-a-row this year. He steered them to Munster crowns in 2016 and 2018. There has been huge transition of late within the set-up, losing stalwarts like Briege Corkery, Rena Buckley, Brid Stack and Deirdre O’Reilly between retirements and unavailability for selection, while they’ve blooded more and more young, talented players. In September, eight players made their All-Ireland final debuts. The Castlehaven clubman has guided the Cork minors to the last four All-Ireland finals, winning three in succession before Galway dethroned them this summer. Eire Óg’s Tom Scally, Bantry Blues’ Anne O’Grady and St Vals’ Joe Carroll have been confirmed as his selectors while Mourneabbey’s Theresa Meaney is the Liason Officer. - This article has been updated to correct the score of this year’s All-Ireland final. Email “Cork stick with All-Ireland winning manager Fitzgerald for fourth season”. 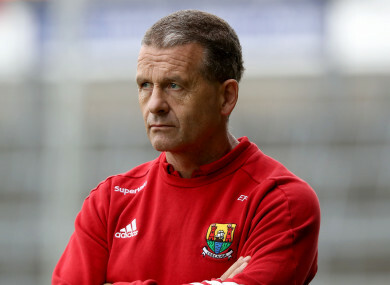 Feedback on “Cork stick with All-Ireland winning manager Fitzgerald for fourth season”.